Looking for some fun things to do in Liverpool? Well, you’re in luck – this beautiful city is filled with a selection of the most fabulous activities, everybody can enjoy. From daring rides on the famous big wheel to meeting a few creepy-crawlies up close or taking a trip on the iconic Mersey Ferry. Soar high above the city and enjoy a bird’s eye view of Liverpool from a pod on the Big Wheel. With 42 enclosed capsules, the Wheel of Liverpool offers breathtaking views of the city’s famous waterfront, the River Mersey and the Wirral from 60 metres up. Each capsule has a glass floor, luxury leather interiors and 360-degree views. On clear days you can even see the distant Welsh mountains! One of the most daring and fun things to do in Liverpool the Big Wheel is an experience that shouldn’t be missed on your visit to the city. Let us entertain while you eat at the UK’s only singing waiter diner in a magical, musical experience unlike any other at Mulholland. Enjoy a slice of the American dream as you snack on diner style food and million-dollar milkshakes, while our singing waiters dazzle you with live performances of all your favourite sing-along songs. Kids will love Disney Sundays and musical movie enthusiasts will be blown away by a soundtrack of sparkling show tunes. You’ll be singing along, tapping your toes and shaking your jazz hands in no time, as this amazing musical experience brings a sprinkle of stardust to your Liverpool visit. 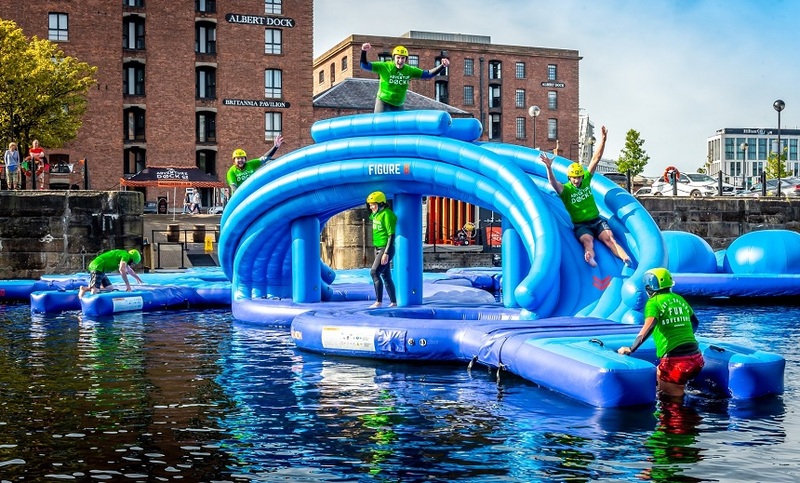 Challenge your kids to the bounciest race in Liverpool with the city’s newest (and wettest) outdoor attraction. As far as fun things to do in Liverpool go, Adventure Dock has all the ingredients for an unforgettable day out in the city. Don your wetsuits for a fun day out with a difference. Clamber all over the giant inflatable obstacle courses and explore free-fall slides, trampolines, rafts and barriers as you bounce, splash and slide around this crazy floating obstacle course. Open to everyone above the age of eight, tickets are £20 per person or £18 for groups of four or more. Get ready for an exciting Adventure on the Dock available to book from May 2019. There are plenty of parks to choose from in Liverpool – but nothing quite compares to Otterspool Park when it comes to spending a day outdoors. 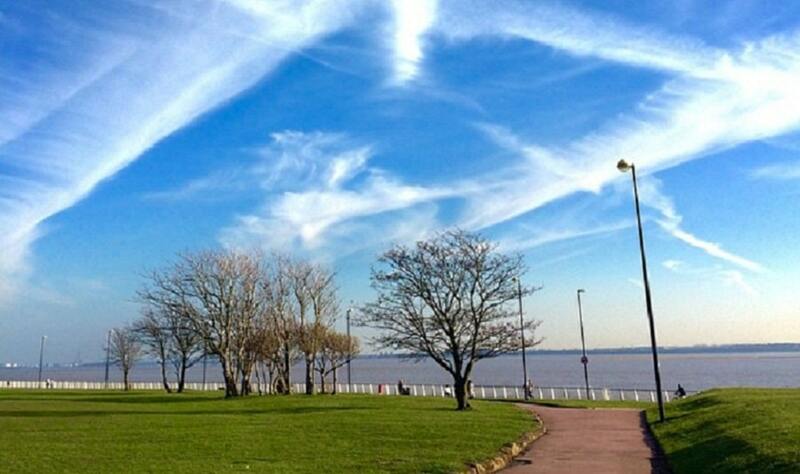 Enjoy taking in the fresh air and fantastic riverside views as you walk through this beautiful Liverpool park. A fantastic playground offers everything from swings and see-saws to climbing nets and spinning dishes, ideal if you have younger ones with you or are still a big kid yourself. Better still you can look forward to a sweet treat and hot drinks too, in Otters Cafe at the end of your walk. If you are still stuck for more fun things to do in Liverpool then check out the Otterspool Adventure Centre. There’s an incredible outdoor play area, mini quad bike race course, giant bouncing pillow and an opportunity to practise a bit of construction on their mini Volvo diggers! Take a Ferry ‘cross the Mersey… and sing-along to the well know tune whilst bobbing on the waters of the UK’s most famous river. A group trip to Liverpool wouldn’t be complete without catching a ride on the Mersey Ferry. An iconic piece of Liverpool’s history made world-famous by Gerry and the Pacemakers, this gentle (slighty windy) ride up the Mersey will take you sailing past the best of Liverpool’s landmarks and waterfront sights. Take in breathtaking vistas of the city’s waterfront, and make the most of endless opportunities to learn more about Liverpool’s maritime and musical past. 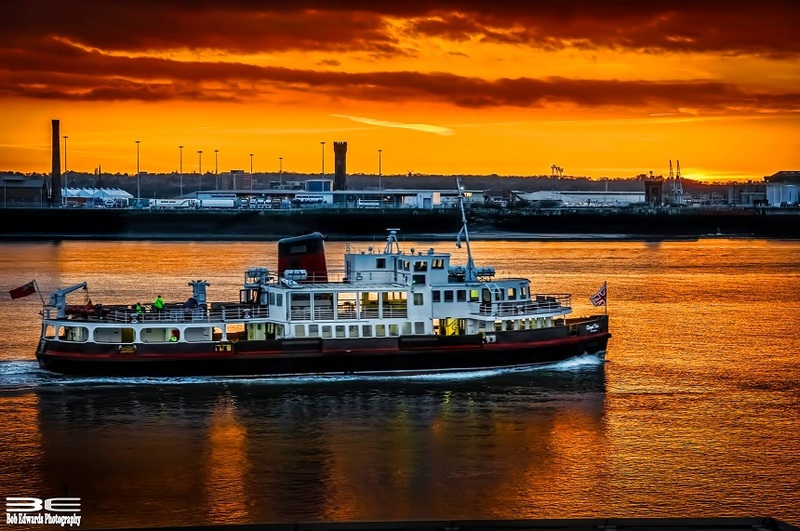 Liverpool’s iconic ferries are the perfect way to get a feel for Liverpool’s seafaring history. And if you’ve got time on your hands, why not stop off on the Wirral side for a look around the Spaceport in Wallasey or the U-Boat experience at Birkenhead? 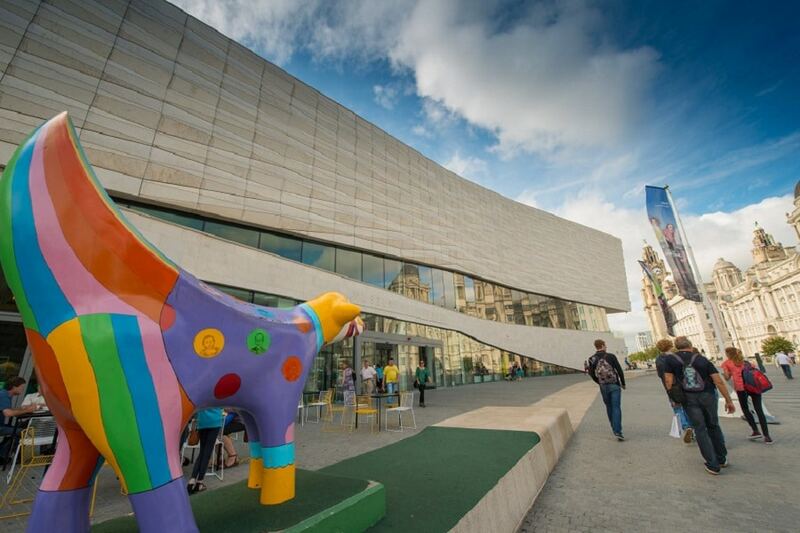 One of the city’s most controversial waterfront building’s, the Museum of Liverpool invites visitors to learn more about the city’s interesting history and explore what’s happening now in the present. Get educated on how the port, the people and the history have shaped the city we know and love today. 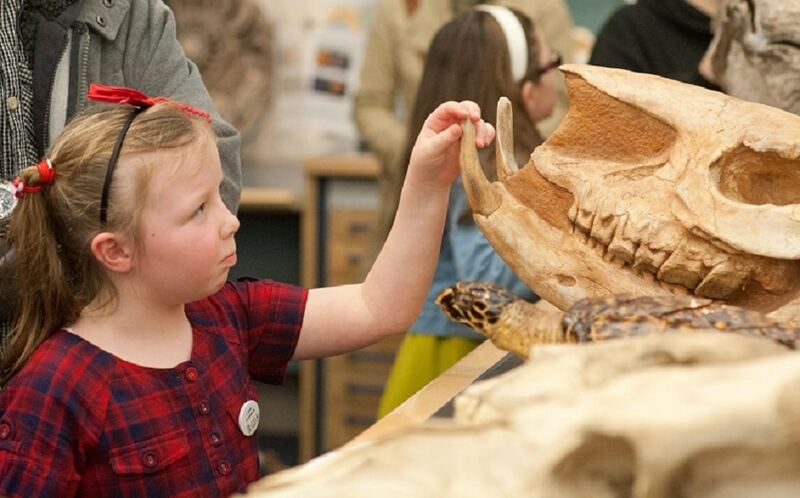 Kids will love taking part in the ‘Little Liverpool’ section designed for those under the age of 6, while big kids (and adults) will enjoy more interactive parts of the museum and exhibitions. A day out at the Musem of Liverpool is one of the most educational fun things to do in Liverpool for any age group and better still, its free! Find out all about Liverpool’s most famous sons, and introduce your family to music that changed the world at The Beatles Story. Learn how four lads from Liverpool became the biggest band in the world and discover the favourite haunts and hangouts made famous by their iconic albums. Enjoy plenty of opportunities to dress up and take a peek behind the scenes of the famous Abbey Road Studios, or embark on a simulated underwater trip on the Yellow Submarine. The Beatles Story is one of the biggest and most fun things to do in Liverpool that attracts visitors from all over the world. Tickets start at £16.95 for adults with options to add some discount for family groups. Whether you are into dinosaurs, creepy-crawlies or the Egyptians, the World Museum will cater to weird and wonderful interests of all ages. Credit: World Museum | Facebook. This fabulous museum covers all walks of life, from their incredible aquarium to their insect zoo, plus loads of ancient and natural history thrown in (with a bit of deep space on the top floor). The curators are always on hand and are happy to share their in-depth knowledge of specialist subjects. All the exhibits and displays are aimed at younger audiences, great for keeping inquisitive minds occupied on rainy days in the city. Keep an eye out for the historic totem pole in the foyer – it’s pretty famous! Get any young fan excited by arranging a tailored tour of one of Liverpool’s famous football clubs. Whether you’re a red or a blue (or support someone else), there’s nothing like getting behind the scenes and seeing what goes on in some of the most well-known footie stadiums in the world. Enjoy a stadium tour at LFC to visit the dressing rooms, touch the famous This is Anfield sign and take a spine-tingling walk down the Player’s Tunnel. You could even make your way to the Red’s rivals at Goodison Park to find out what happens in the Dixie Dean suite on a match day or stand on the touchline like a real team manager. 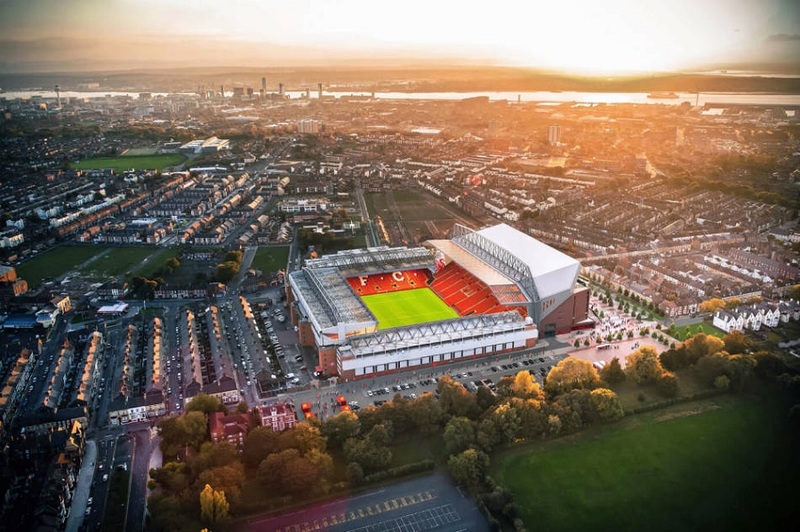 Whichever team takes your fancy, all the family will get to understand the importance of football to the city and how the rich sporting heritage has helped shape the Scouse outlook on life. Not the usual 18 holes of monotony, Ghetto Golf is crazy golf with a twist (and a few bends). 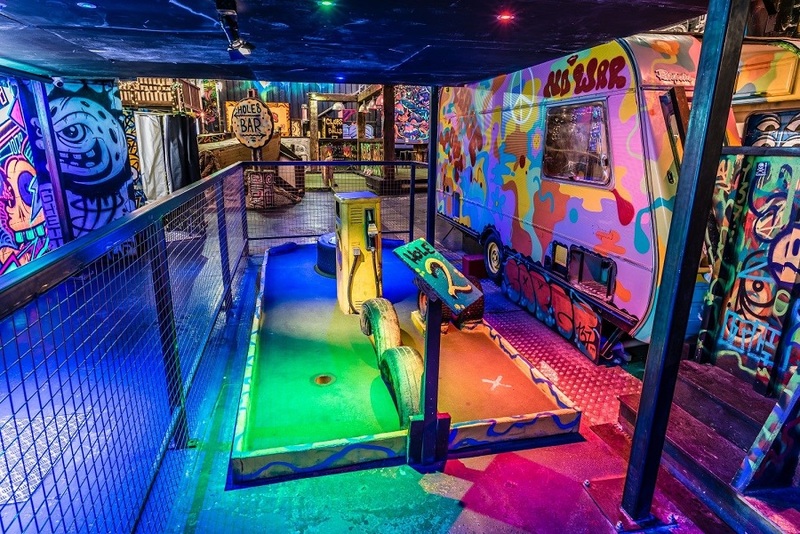 Pick up your clubs, balls and cocktails upon entry then make your way around the cavernous warehouse that’s now home to a series of difficult golf obstacles and impossible putts. You’ll be faced with putting in Nanna’s Living Room, pulling off toilet trick shots and navigating your way through an abandoned caravan. All the while enjoying a tasty cocktail and toe-tapping soundtrack of hip-hop hits. Big or small, boys or girls, everyone likes to shoot their friends with paintballs or Nerf bullets. Sadly as you get older, the chances to do so get less and less. 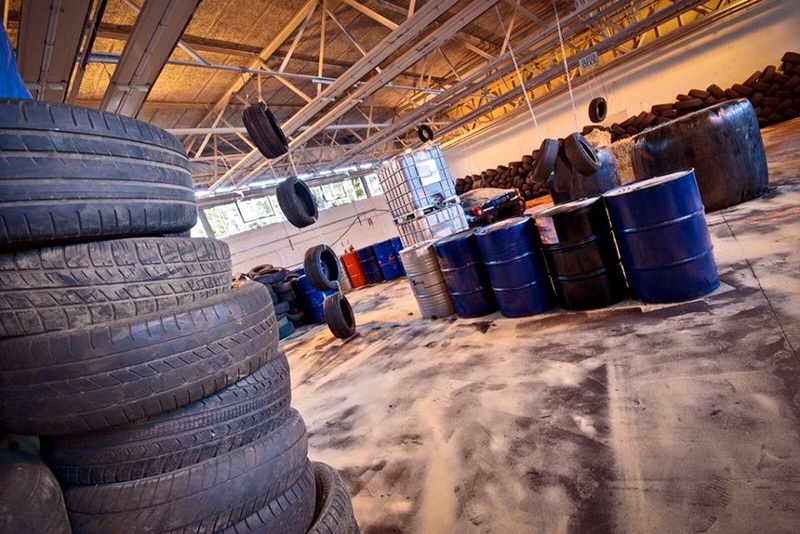 Luckily we’ve come across a haven where the paintballs and Nerf bullets fly free across a huge warehouse on the outskirts of Liverpool city centre in The Ultimate Indoor Paintball and Nerf Arena. Either book as a group or send the kids in on their own and watch the carnage unfold. Prices start at £20 per person and discounts apply for larger groups. If there’s one thing you can pretty much guarantee will always be among the fun things to do in Liverpool it’s a themed pub quiz. 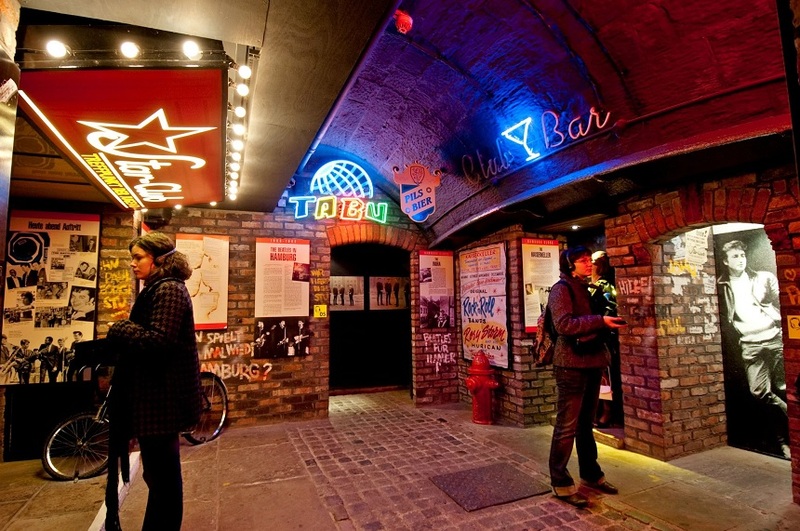 There are tonnes of venues dotted all over the city centre that organise exciting quizzes, testing a range of topical knowledge. From films to music and any pop-culture trend, Liverpool’s quizzes are one of the city’s greatest city attractions and one you need to get involved in on your visit. 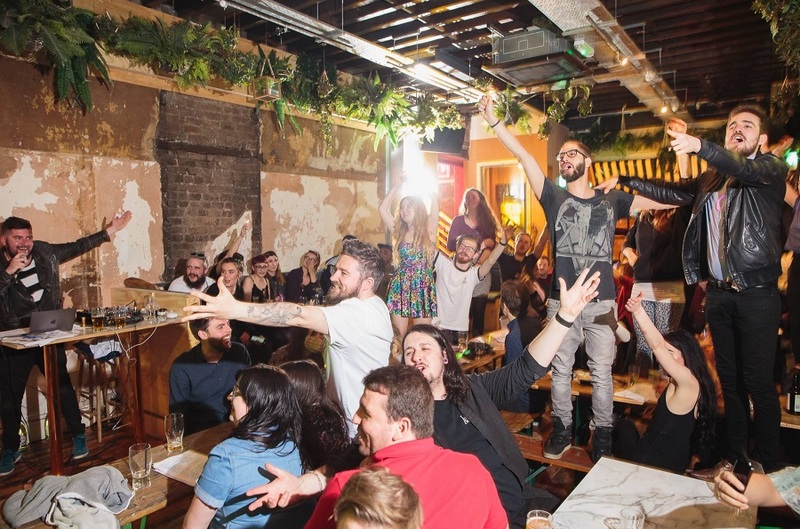 Check out our guide to the best Liverpool quizzes around. Thanks to The Beatles, Liverpool is well known for it’s contributions to music and thankfully the new talent in the city is just as good to watch live today, as the old stuff was in the past. 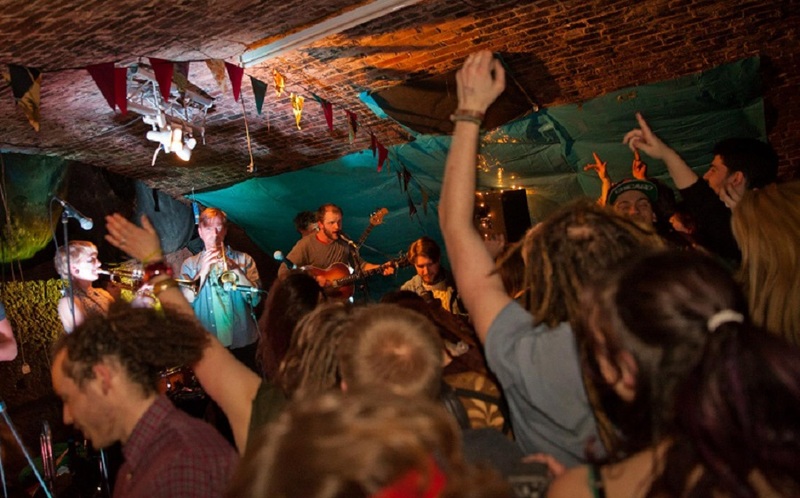 Check out any number of new and immerging music acts perform live in bars and pubs all over Liverpool and you might be lucky enough to see the next big thing just starting out. Why not coincide your next visit with a Signature Live Sessions gig in the stunning rooftop venue Garden of Eden? Wouldn’t you love a meal where you can skip the starter and main course and dive straight in for something sweet? At Kaspa’s Desserts, you can. Choose from a huge menu of ice cream sundaes, candy-coated bubble waffles and an endless list of scrumptious cakes and puddings. 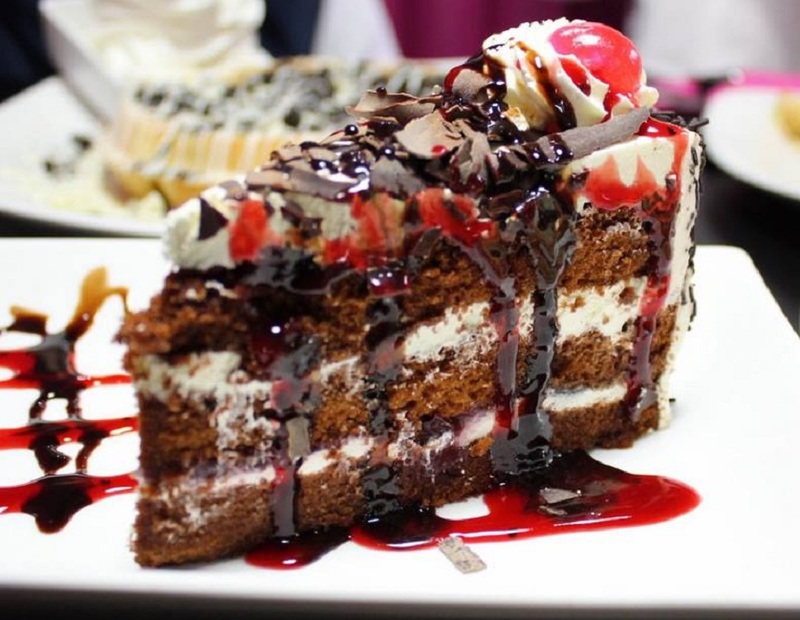 For those with a sweet tooth, a visit to Kaspa’s is one of the most fun things to do in Liverpool when it comes to treating your tummy. 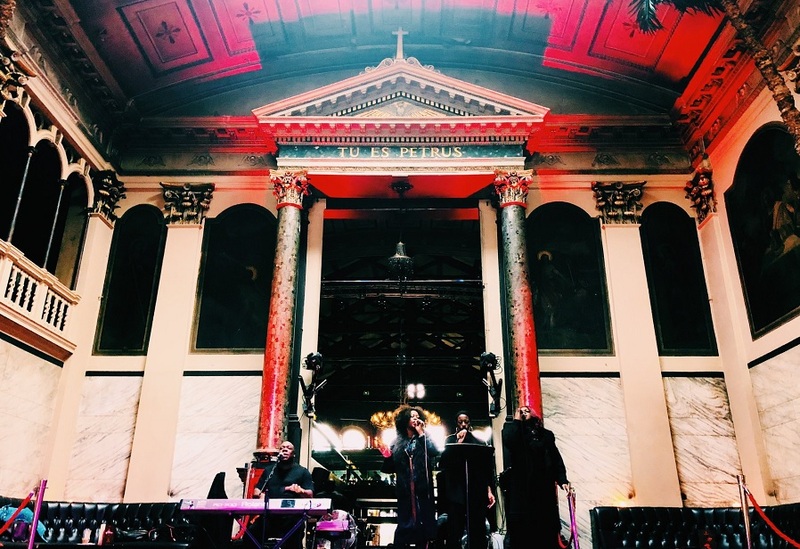 We all love a Sunday roast dinner but what if you could sit down to a Sunday lunch in Liverpool with a live soundtrack provided by a Gospel Choir? Better still what if it all took place in a converted Catholic church? 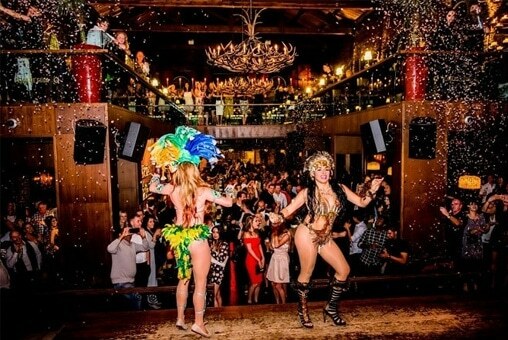 At Alma de Cuba their Gospel Sunday Lunch’s are the stuff of legend, ideal for those looking for fun things to do in Liverpool that are different from the norm. Sit down to a delicious meal and a fantastic afternoon filled with the sound of live gospel music. Fancy yourself a regular maestro? Well in Liverpool, you’ll have the chance to perform on the piano live in front of a city size audience. Simply plonk yourself down at any of the three pianos found in prime locations all over the city centre and get going. Unleash your musical gifts for the whole city to hear. Built over two hundred years ago and discovered only 25 years ago, the Williamson Tunnels are a sight to behold. Nestled under the streets of the Georgian Quarter, the tunnels form a connected network of vaults and caverns that were constructed for an unknown purpose. 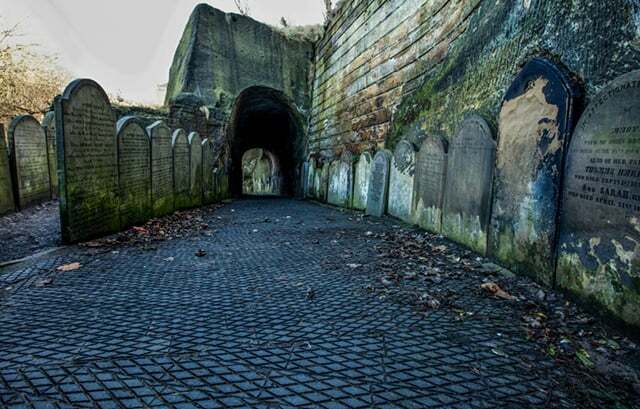 Today underground parties, ghost walks and tours are hosted in the excavated sections and the buried ancient phenomenon has gained much speculation as to why they were created.  The most popular theories include underground smuggling, Williamson’s plans to form an underground society when the world ended and, our favourite, a way for Williamson to give money to the poor by occupying them with a meaningless project. Tickets are £4.00 per adult, £3.00 per child and a family ticket for five costs £14.00. Still going strong, the humble Halloumi fry is a table staple in the bars and clubs of Liverpool. 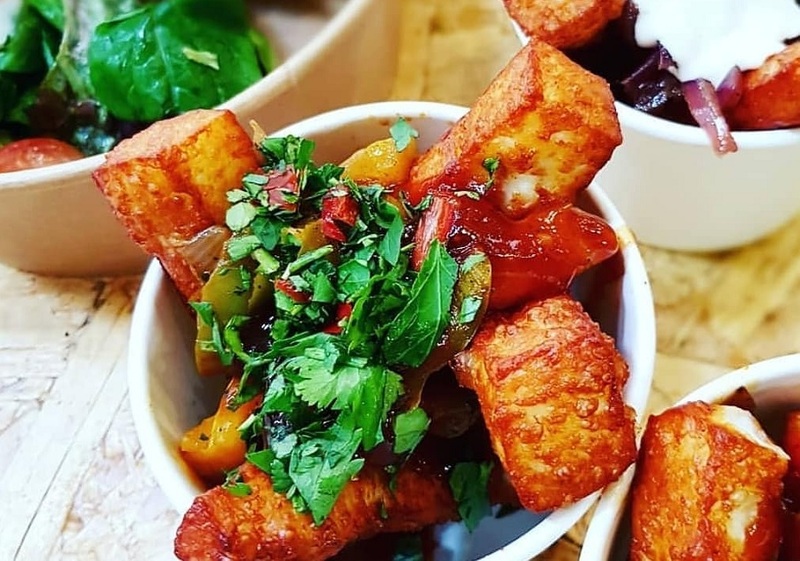 Sample the delicately flavoured fried cheese smothered in a variety of tasty toppings, served in simple cardboard containers at Hafla Hafla, on the Baltic Market. Whilst you are there why not check out all the other wonderful food and drink on offer in the area. 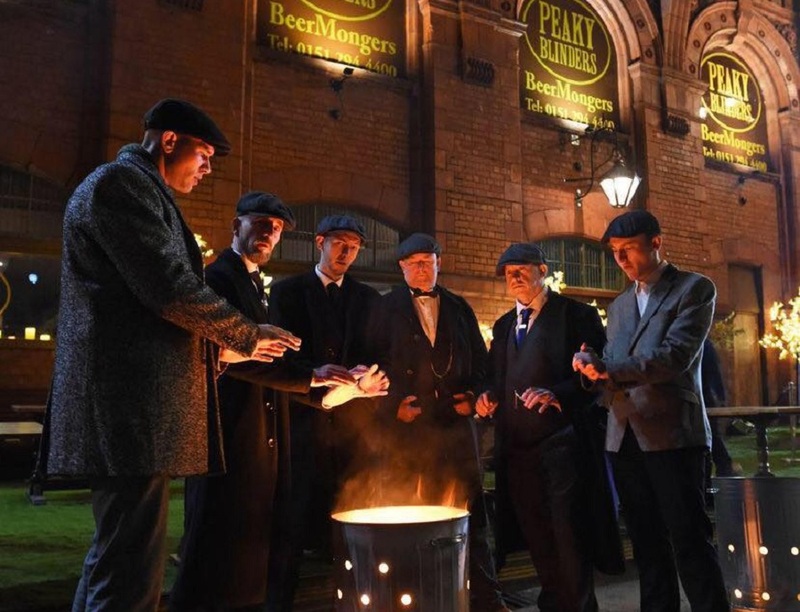 Initiate yourself, temporarily, into the Peaky Blinders by paying a visit to the bar of the same name nestled in the heart of Cains Brewery. Find yourself surrounded by gangs of guys dressed in dapper suits, braces and flat caps and gals fancy dressed as flappers and molls. The bar itself is spacious and packed with brilliant booze, some even brewed on site in true Peaky Blinders style. On occasion, there’s been a spot of live music on too. It’s well worth a visit and up there among the most fun things to do in Liverpool, even if you haven’t watched the show. 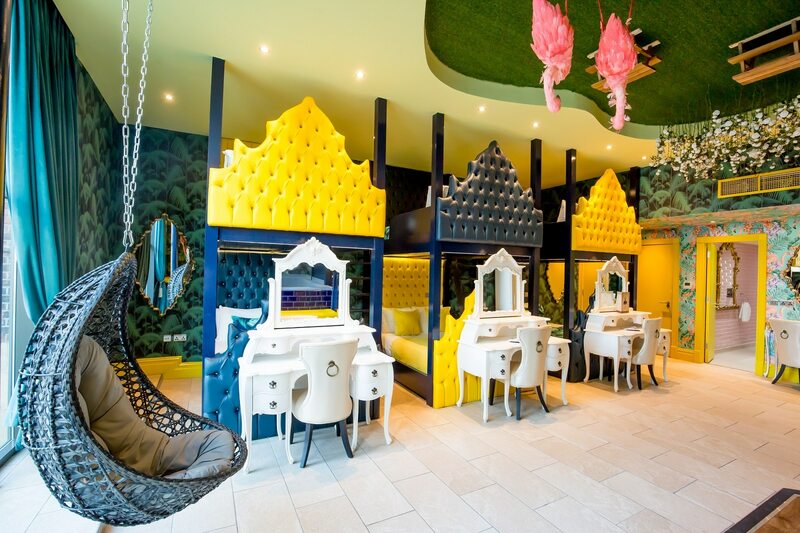 Enjoy a unique stay in Liverpool’s most popular group accommodation with Signature Living. Offering eclectic suites in city centre locations, our incredible spacious rooms offer the opportunity for everyone to stay together for a city break unlike any other. Stay in one of our incredible Garden of Eden suites, which sleep up to 8 guests, for a luxurious stay in The Shankly Hotel. 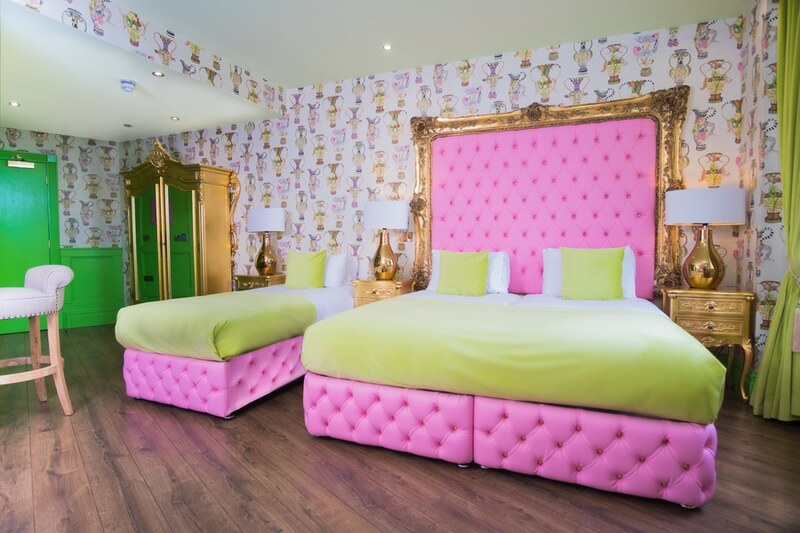 Or check out the brightly-coloured YOLO suite, with a fusion of pastel pink and lime green decor and luxurious amenities the picture perfect room for an unforgettable short break in Liverpool. Our incredible 12-bed Flamingo Suite even boasts an in-room pool, eccentric furnishings, and views overlooking the city’s busiest streets, you won’t find a place to stay like it anywhere else in Liverpool. Located within The Shankly Hotel, our Garden of Eden suites are just moments away from some of the city’s best attractions. Liverpool’s UNESCO World Heritage Waterfront is just 18-minutes walk away, while the famous Liverpool One shopping district is a mere 7-minutes. Plus, head over to the city’s museum quarter which sits on the doorstep of the hotel. We hope you’ve enjoyed our top ten things to do in Liverpool for all age groups and we can’t wait to welcome you to this beautiful city. To book, call our team today on 0151 236 0166. While you’re in the city, why not enjoy one of the best walks near Liverpool? Our guide will help you all enjoy a perfect day outdoors exploring the city and its surroundings.